by Angela Farris Watkins Editor · Andrew Young Author of introduction, etc. Martin Luther King Jr.'s family comes together for the first time to share their reflections and memories of the great civil rights leader. Included are contributions from his sister (the only surviving member of his immediate family), his children, his in-laws, his nieces and nephews, and even his grandchildren, who, although they never met him, explain what his legacy means to them. Unlike the iconic persona normally associated with the man, the book presents a more personal, warm, and loving portrait: wrestling with his brother on the bed (despite their being in their thirties), sneaking naps during holiday meals, as well as playing games with his nieces and nephews. 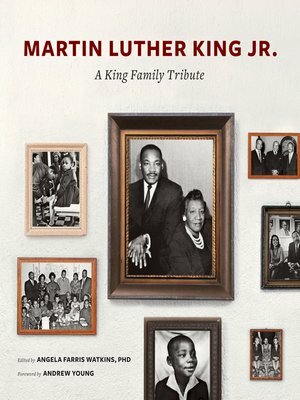 Alongside these tributes are never-before-published family photos of Dr. King, as well as new photographs of the memorial dedicated to him in August 2011 on the National Mall in Washington, D.C.